Dealing with cryptocurrency exchanges can be challenging if you’re new to it. 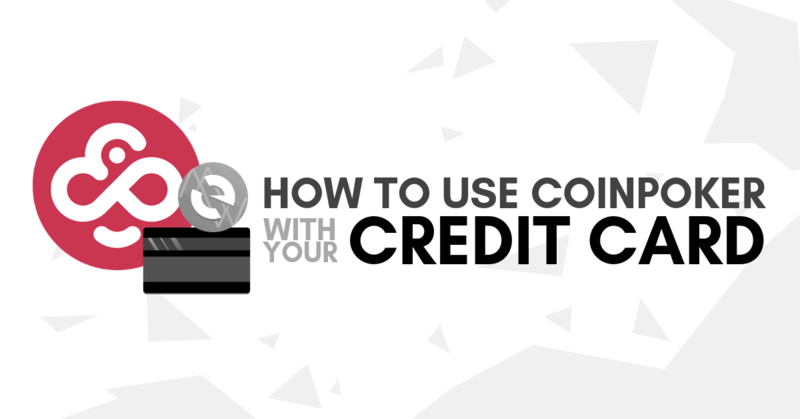 The following guide will walk you through the simplest and easiest method of acquiring ETH, and how you can use it to verify, deposit, and withdraw funds from your CoinPoker account without an exchange. 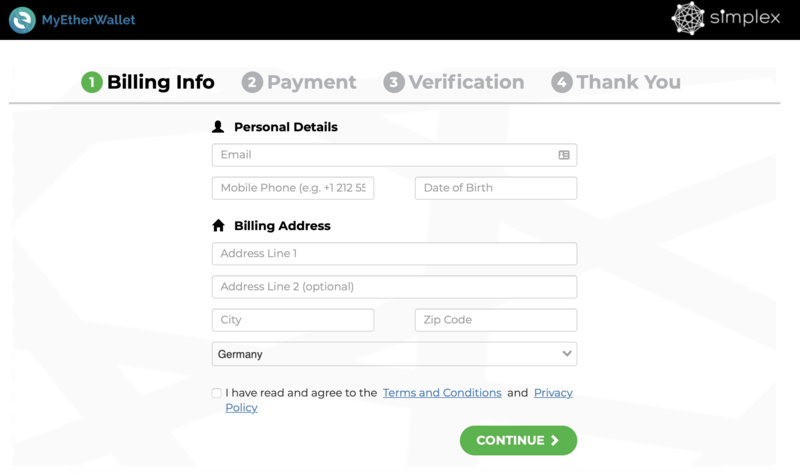 This process does not require you to complete a KYC (Know Your Customer) process. However, when making the credit card purchase you will be asked to provide identification. We will explain the details of this later on. NOTE: You only need ETH to verify your wallet, and can now use it to make transfers to and from Coinpoker. Below you’ll see the cryptocurrency options for different transactions on CoinPoker, and note that you can complete all actions using ETH tokens. Note that while you can play and sit at tables before verifying your wallet, you won’t be able to move funds in or out of the account. If you prefer, you can still use any cryptocurrency exchange to buy ETH, or get CHP from any of the exchanges listed on our homepage (here is a quick guide to getting CHP on KuCoin). Create a MEW wallet If you don’t have one yet. The process requires no KYC and takes just a couple of minutes to complete. If you are having trouble you can find a thorough guide to the entire process on their website here. WARNING: Beware of phishing scams! Always double or triple check the URL when navigating to MEW. It should exactly as in the image below, with a padlock icon next to it. Be extra wary of small spelling errors that may be easy to miss. As soon as you have your wallet ready you can continue to step 2. Access your wallet and navigate to the Swap section. At first, you might notice that the Simplex option is not available. You will need to select a fiat currency under From and ETH or BTC under To. Next, you would need to confirm your purchase. Bear in mind that Simplex charges a 5% service charge. Once your ETH purchase is processed and in your MEW wallet, it’s time to hit the tables. If you don’t have CoinPoker setup yet, now is the time to do it. Here is a quick guide to get you started. Once your MEW wallet is verified on CoinPoker (this means linking it to your CoinPoker account so we know where to send and take out funds) you will be able to deposit and withdraw funds in ETH. Whenever you’re ready to cash out, use CoinPoker’s ETH Withdrawals feature to return funds back to your verified MEW wallet. Once you do, you’ll be able to get it transferred back to your credit card in fiat currency in just a couple of easy steps! 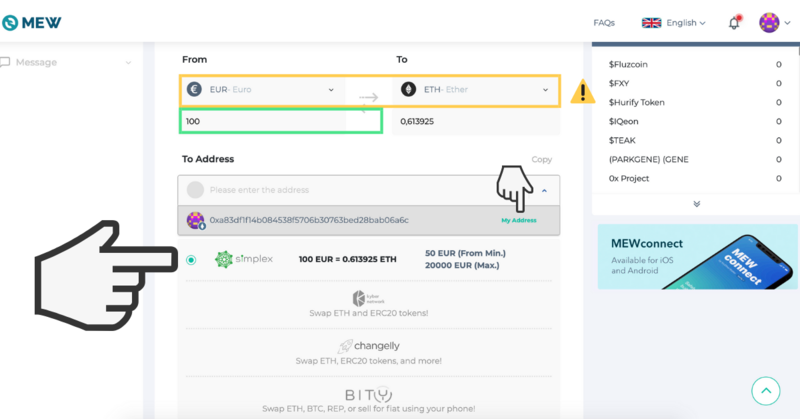 For more information about how to use this feature check out MEW’s Exit-to-Fiat guide. If you have any CoinPoker related questions feel free to get in touch with our support team on Telegram or by sending an email to [email protected].